We are very pleased to add to our main wedding collection range with the new Delamere Young album. The new album is brought to you by Graphistudio of Italy. 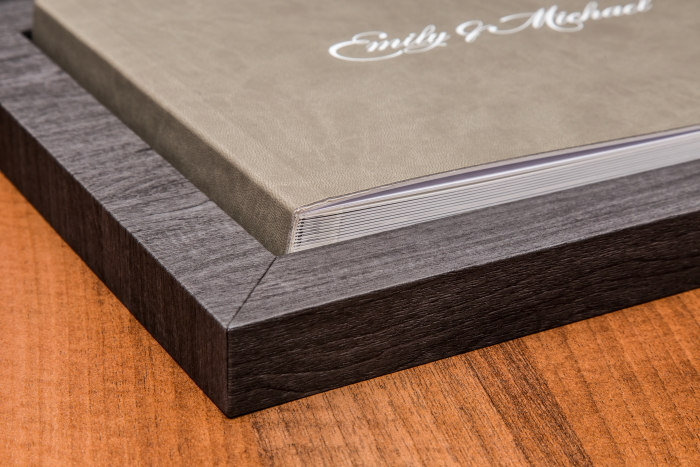 The standard book will contain 40 thick pages using lay-flat technology meaning images can be laid over the seam of the book with no impact on quality. 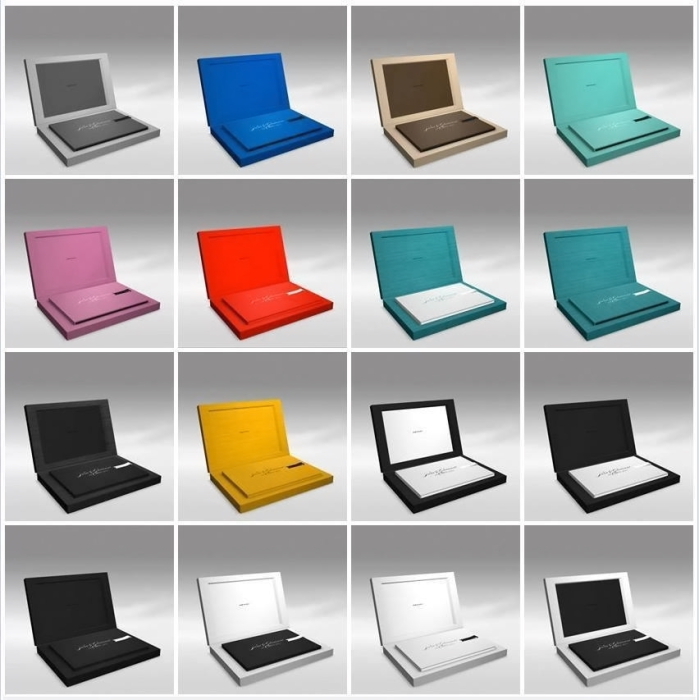 The book also has a range of different paper types so the book can be customised to your preferences! As with our Delamere Classic book range, there is an array of materials and covers to select from. 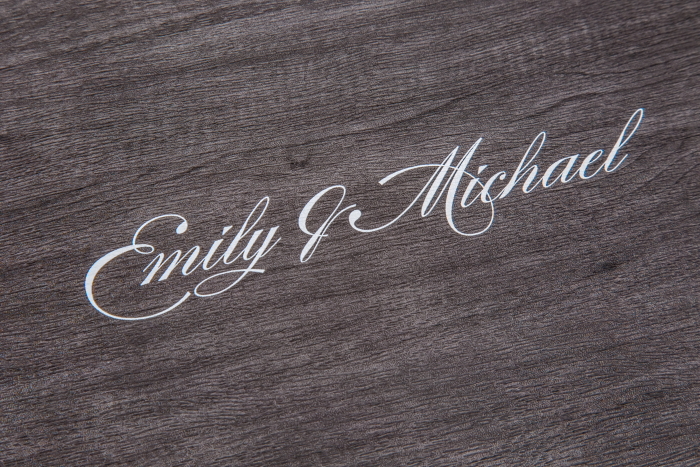 You can opt for raised varnish for the names for that extra personalisation. 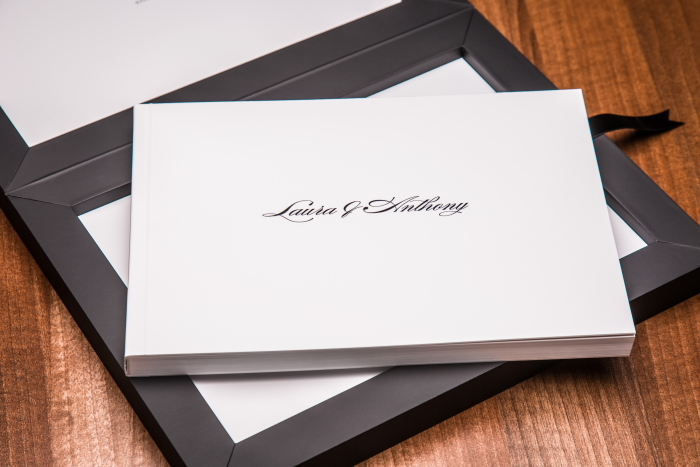 As with all the wedding albums in our extensive range, the internal design and cover art is all undertaken by Tina who has qualifications in graphic design as well as being an accomplished photographer! A striking feature of the new Delamere Young album is it’s impressive custom built box. 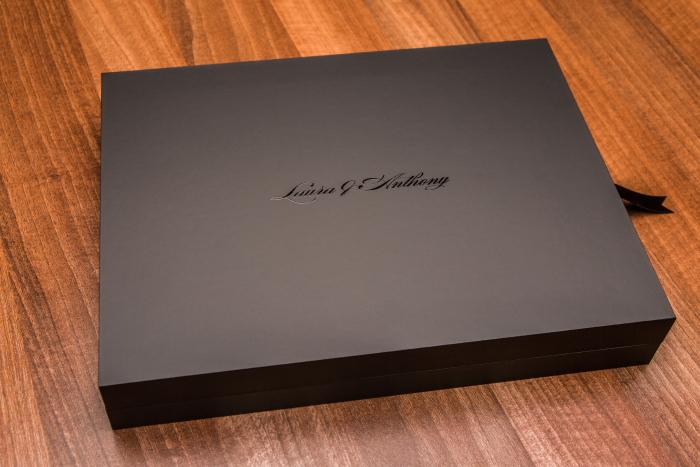 Again, the box is part of the book so is fully customisable. You could opt for the same material and colour as your wedding album, or opt for a completely contrasting colour and material. The choice is all yours! 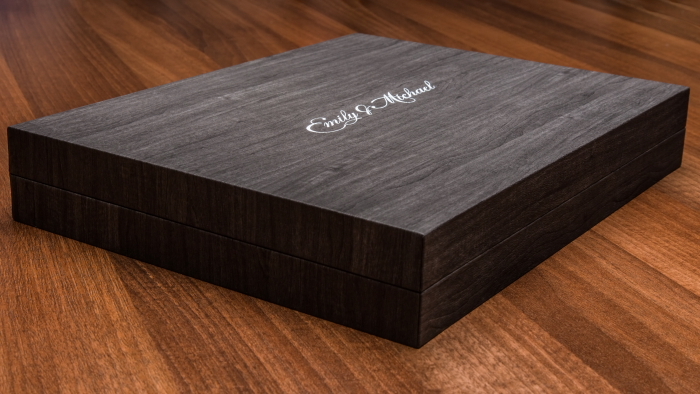 You can also decide on the material for the lining of the box which can again be a complimentary colour/ material or the same! 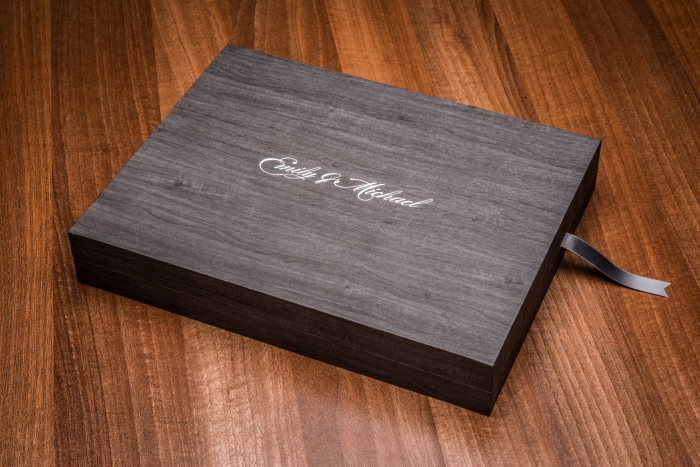 The stunning box is finished with a ribbon. Of course, you get no less than an amazing 28 colours to choose from!! The materials available across The Delamere Young include: leatherette, maple, cloud leatherette, matte linen, brilliant linen, class leatherette and touch. We have swatches of all the materials and colours for you to have a look at to help you make your decisions. You can also touch and feel the different paper options including tintoretto paper, photo fine art paper, photographic paper and metallic paper. You can also choose between satin or glossy lamination! If it all seems like too many choices don’t worry! 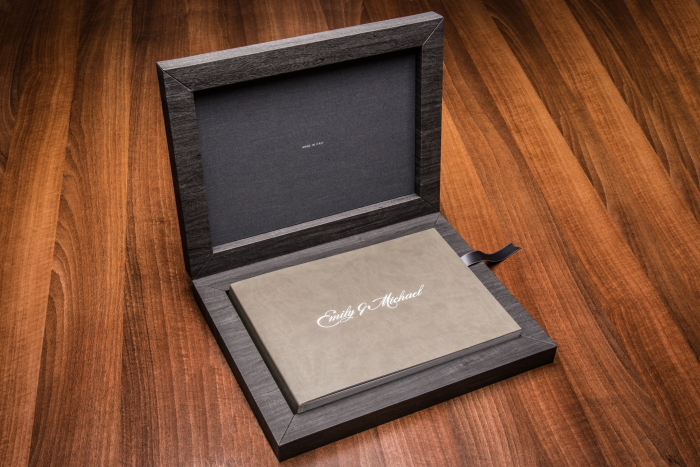 We have a configurator to show you a digital representation of your choices so you can get an idea what your final Delamere Young wedding album will look like. 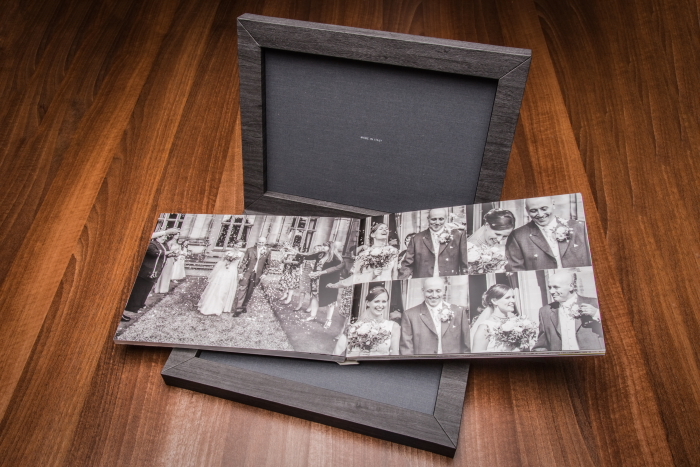 We also have several sample albums for you to have a look at. 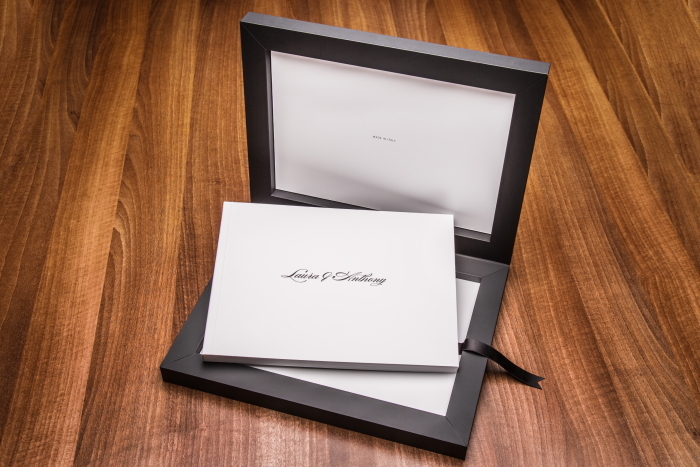 It’s your wedding day, it’s your wedding album and it’s your choice! You can also visit our dedicated wedding photography website!